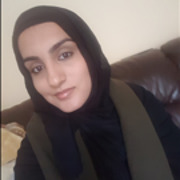 Hi I am a primary teacher and I am available for tutoring all subjects primary and ks3 maths and English up to year 9 I am available weekends and evenings. Currently a year 2 primary teacher I have had training in primary and early years foundation stage. I have worked with children from Nursery all the way up to college. From my experience I have gained I have learnt that different children learn in different ways through different learning methods. In which has given me experience on different teaching techniques for special educational needs and in different classroom enviroments. It is amazing to see how pupils challenge each other and the staff when asking questions to gain an insight on what they are learning and help them understand. I believe that all children are unique individuals who need to be pushed and reach their maximum potential! The key to success for pupils is to engage their knowledge and challenge them by making them think about things that they have not thought about.